There is always an advantage to using electrical conduit to run wires or cables, easy repair, replacement or upgrade. PVC electrical conduit is an easy product to work with. 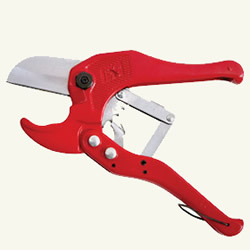 A hacksaw , or a conduit cutter , as shown in Figure 1, if you are planning on doing a lot of conduit work, and a tape measure are the only tools required. PVC electrical conduit comes in a host of sizes from 1/2 inch to 6 inches and in two strengths, schedule 40 and schedule 80. Schedule 40 should be fine in most residential applications. Schedule 80 has a thicker wall than schedule 40 and is designed for rough environments. 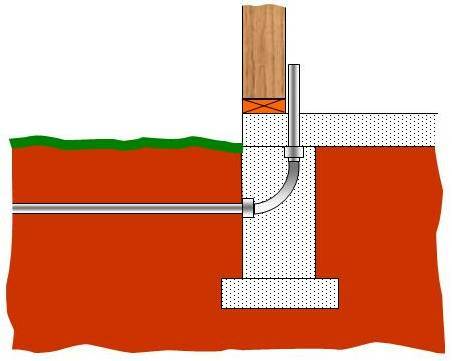 PVC conduit is designed with a female fitting at one end, as shown in Figure 2, hence, a coupling is not needed when joining full lengths of pipe together. There are numerous fittings available, as shown in Figure 4. For outdoor work bonding sections using adhesive and pipe cleaner is recommended. 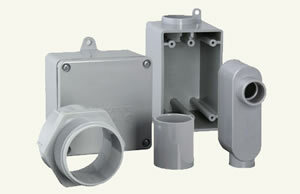 For indoor applications you can use male and female box connectors. Remember that PVC pipe does not provide a ground connection as does EMT metal piping. Chart 1 provides a picture and function of the most common PVC conduit fittings and accessories. Chart 1 - The Most Common PVC Conduit Fittings & Accessories. Used to allow the splitting of wire runs. 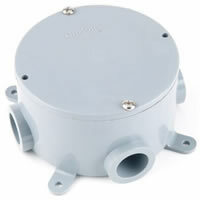 This fitting provides convenient access for pulling or feeding wires and cables in a long conduit run. 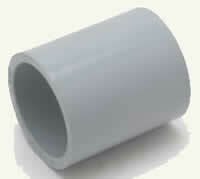 This is the locknut for any male threaded fitting. Joins two pieces of conduit pipe together. Electrical boxes are available with 1. 2, 3, and 4 pipe entry points. 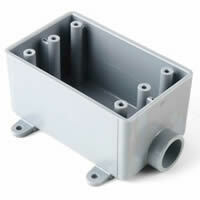 Allows conduit to contract and expand without damaging the conduit. 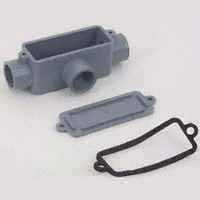 Allows for the connection to metal pipe and other accessories with male connections. When entering or exiting an electrical box with conduit that is fastened to the same surface as the electrical box, it is necessary to bring the conduit out in order to meet with the box fittings. The LB fitting allows for a tight 90 degree conduit routing. It allows for entry for pulling and feeding wires. 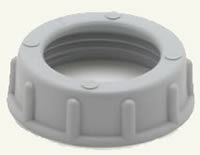 Can be used for electrical lights and other items that require a round electrical box. 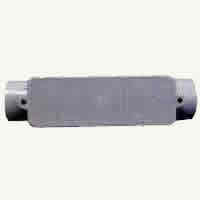 Used to join female accessories and in conjunction with the conduit bushing. 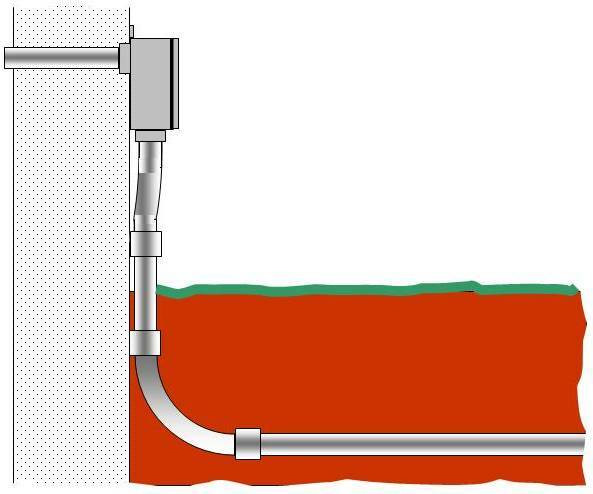 Typical use of PVC conduit in a residential application is for underground wiring, as shown in Figures 4 and 5.